New Item! Expected to Ship 08-26-2019. A powerful direct drive double bass drum pedal that's completely customizable to meet your playing style. TAMA’s Dyna-Sync double bass drum pedal defines a new power-speed-feel balance in a direct drive pedal and shatters direct drive pedal assumptions. TAMA is thrilled to offer drummers of all styles and abilities the opportunity to utilize the wide range of pedal adjustments to discover a differentiated direct drive feel. 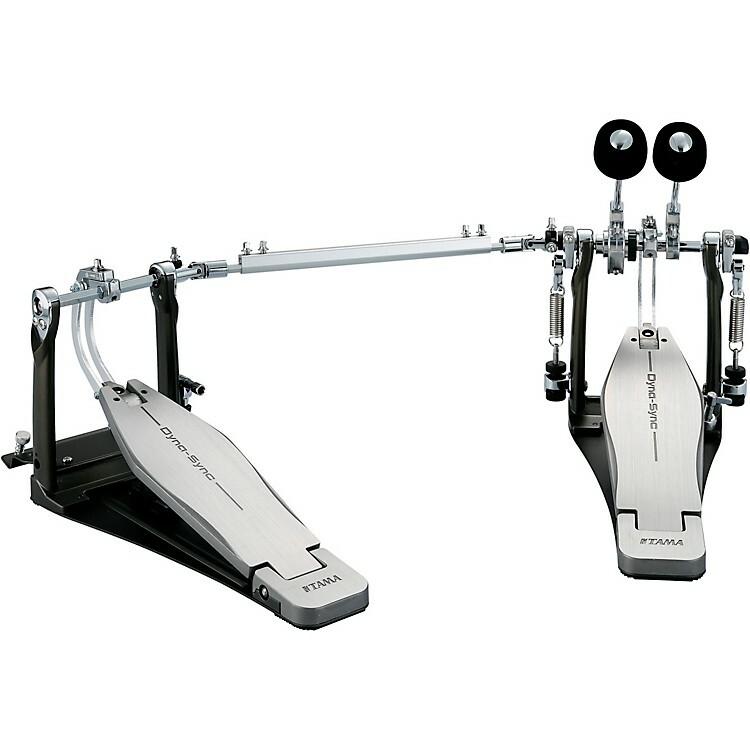 TAMA's tireless product team has immersed their activity in direct drive bass drum pedals. Direct drive pedals provide a unique benefit—immediate energy conversion and accelerated beater movement. However, their product team realized the opportunity to design a direct drive pedal with perfect balance and alignment of three critical performance elements: Power–Speed–Feel. TAMA identified three critical design components: The direct drive linkage, the drive cam, and the drive/footboard connection angle. They worked closely with a stylistically diverse group of TAMA artists to further their understanding of what high-level players want and need from a direct drive pedal. The back-and-forth product team/artist dialog allowed TAMA to master subtle mechanical relationships and angle alignments. This ultimately revealed a design method to overcome feel and power challenges they feel are inherent to some other direct drive pedals. TAMA named this mechanical design the Dynamic Synchronization System.